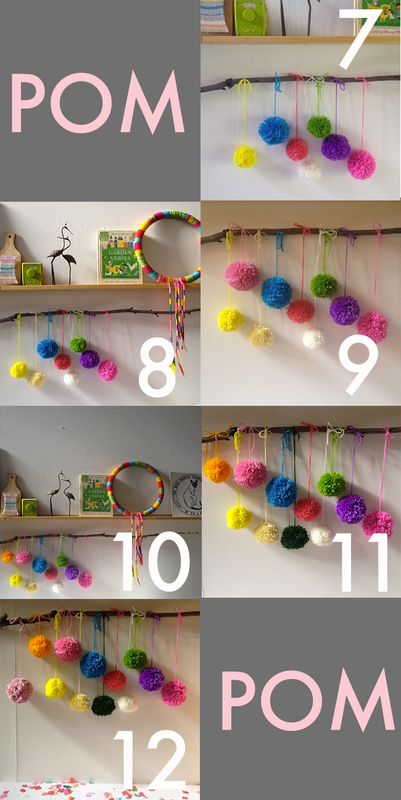 :: Making A Pompom Advent Stick. It's A Thing! :: Making A Pompom Advent Stick. It’s A Thing! 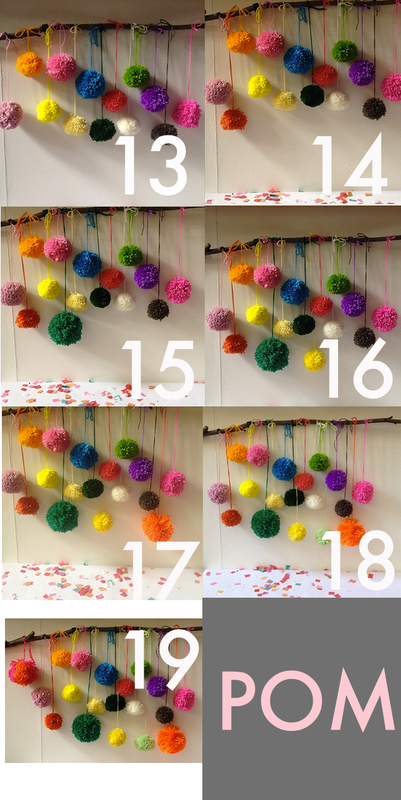 I’m making progress with my pompom advent calendar! Here’s the latest pics of its woolly goodness! You can see pompoms 1 to 6 here. Do you have an advent calendar at your place? I must say I am liking this one more than those ones with the murky chocolates in them! Want to make pompoms for Christmas like this? Hang those fluffy suckers up! 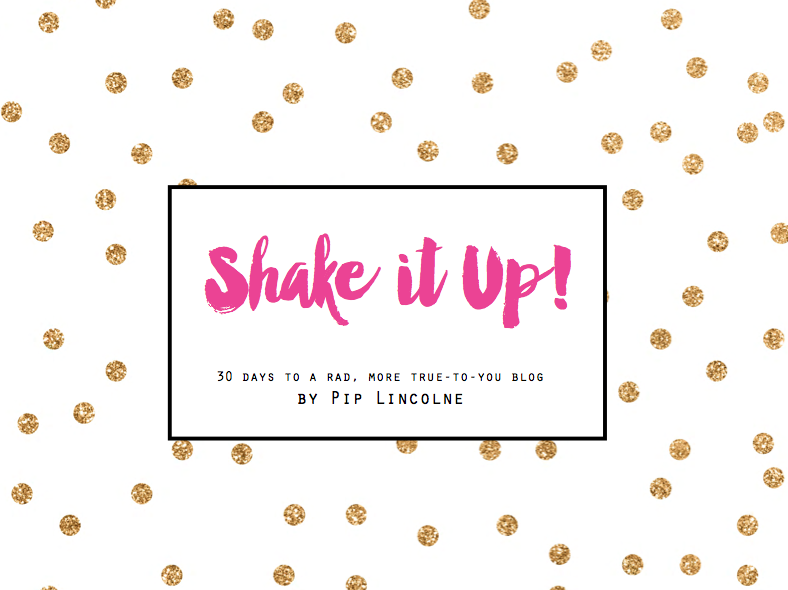 Hope you are keeping well… are you keeping well? It’s a JUNGLE out there at the moment! Gah! except for a few spelling mis- takes….